After travel, is the world bigger or smaller? Two travelers are stranded on a South Pacific island due to a local revolution. Lu Ren (name sounds same as “Traveler”) is a 6 star luxury traveler; Chen Ke (name sounds same as “Passenger”) is a backpacker. Together they compare travel stories that span the globe and shift in mood, from the ludicrously funny to the hauntingly sober. “After travel, is the world bigger or smaller?” Does travel lead to the yearning for more travel, to explore more of the unknown, or can it lead to a deeper understanding of the principles behind everything, thus leaving one content in one’s own armchair? 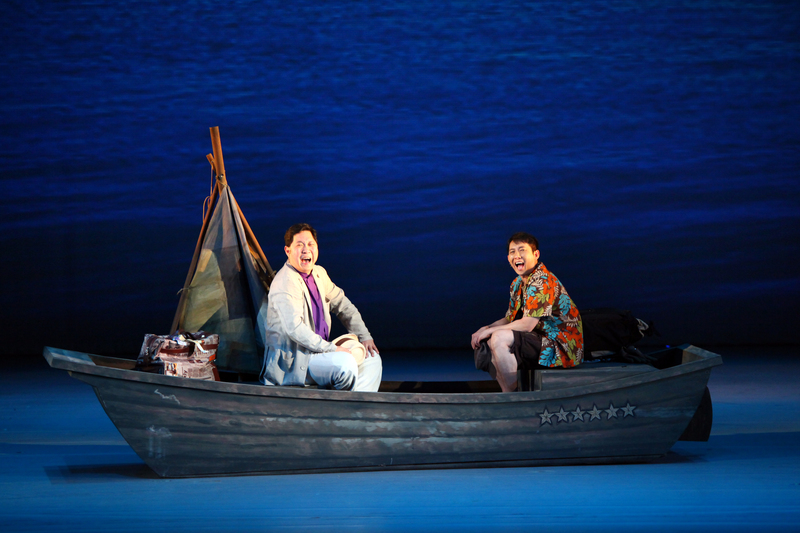 Feng Yigang and Qu Zhongheng conduct the evening-long dialogue, written and directed by Stan Lai. Mr. Feng is one the most noted crosstalk performers in the world and has his own group, “Xiangsheng Wase” (Comedians Workshop), which performs regularly in Taiwan. He has also performed in 2 previous Crosstalk plays by Mr. Lai. 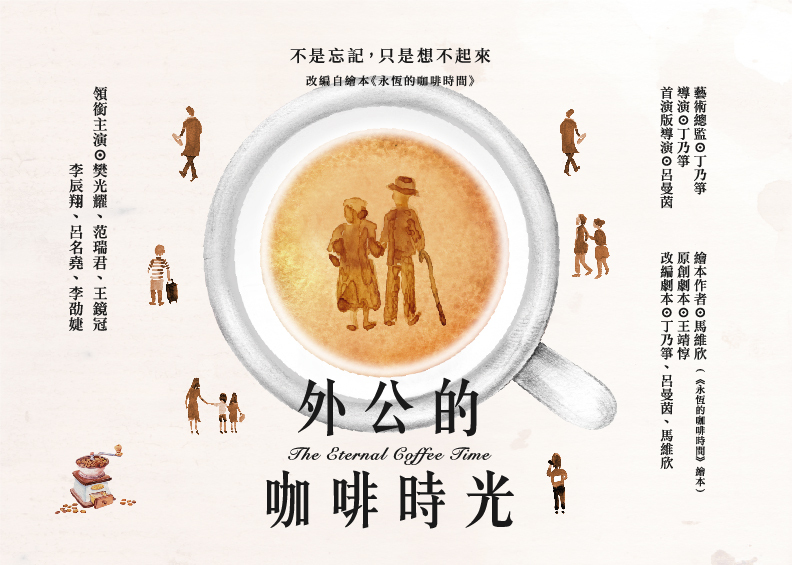 For Mr. Qu, the noted film and television actor, it is his first Crosstalk play, but he has had a span of 4 consecutive plays working with Mr. Lai, including the recent highly acclaimed The Village, which he starred in together with Mr. Feng.